The post Explaining Alveoli and Blood Gases in Spanish appeared first on Podcasts by Doc Molly. The post Causes of COPD in Spanish appeared first on Podcasts by Doc Molly. The post COPD Explained in Spanish appeared first on Podcasts by Doc Molly. The post Flu Symptoms in Spanish appeared first on Podcasts by Doc Molly. The post Dolor de Vientre, Present Perfect and a Medical Spanish Seminar in Costa Rica appeared first on Podcasts by Doc Molly. The post NIH Stroke Scale in Spanish appeared first on Podcasts by Doc Molly. The post Family Planning – Interview with a Comadrona appeared first on Podcasts by Doc Molly. The post Eye Exam in Spanish and Why I Podcast appeared first on Podcasts by Doc Molly. The post Evaluation of a Red Eye in Spanish appeared first on Podcasts by Doc Molly. The post Q&A – Palpitations and More in Spanish appeared first on Podcasts by Doc Molly. The post Atrial Fibrillation in Spanish appeared first on Podcasts by Doc Molly. The post STD Symptoms in Spanish appeared first on Podcasts by Doc Molly. The post Service of a Comadrona – Interview in Spanish appeared first on Podcasts by Doc Molly. Listen to a Letty describe her experience of having Zika in this patient interview in Spanish. She had a rash and conjunctivitis. The post Zika – Patient Interview in Spanish appeared first on Podcasts by Doc Molly. The post Spanish Grammar from Folk Medicine Interview appeared first on Podcasts by Doc Molly. In this folk medicine interview in Spanish a folk healer from Guatemala explains how a folk healer is born with the gift for healing. 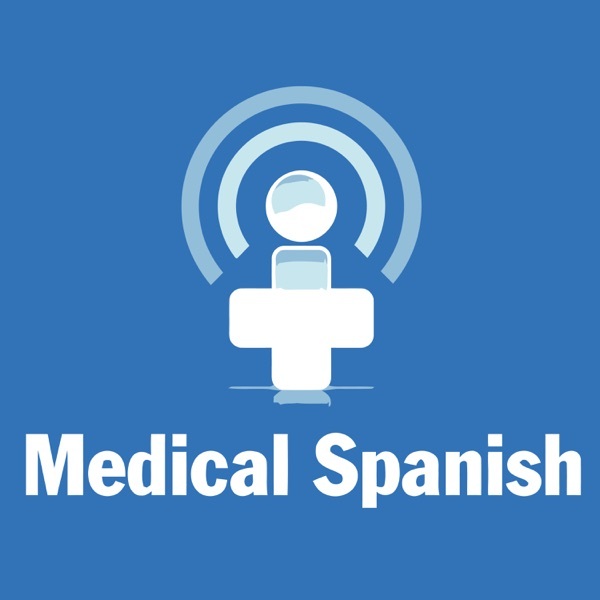 The post Folk Medicine Interview in Spanish – Born with a Gift appeared first on Podcasts by Doc Molly. Quedar y Quedarse – I’m back with a quiz! The post Quedar y Quedarse – I’m back with a quiz! appeared first on Podcasts by Doc Molly. The post Chikungunya – Patient Interview in Spanish appeared first on Podcasts by Doc Molly. The post Podcasts from Guatemala appeared first on Podcasts by Doc Molly. The post Monitoring Blood Sugar in Spanish appeared first on Podcasts by Doc Molly. The post Unable to Conceive – Patient Interview in Spanish appeared first on Podcasts by Doc Molly. The post Childbirth – Patient Interview in Spanish appeared first on Podcasts by Doc Molly. The post Diabetes – Patient Interview in Spanish – Dx and Tx appeared first on Podcasts by Doc Molly. The post Back Pain in Spanish – Dialogue with Interpreter appeared first on Podcasts by Doc Molly. The post Viral Gastroenteritis in Spanish appeared first on Podcasts by Doc Molly. The post Child Development in Spanish appeared first on Podcasts by Doc Molly. The post Preoperative Evaluation in Spanish appeared first on Podcasts by Doc Molly. The post Code Status Dialogue in Spanish – Part 1 appeared first on Podcasts by Doc Molly. The post HTN – Discussing Labs and Med Changes in Spanish appeared first on Podcasts by Doc Molly. The post Depression – A Clinical Dialogue in Spanish appeared first on Podcasts by Doc Molly. The post Describing Movement in Spanish appeared first on Podcasts by Doc Molly. The post My Shoulder Hurts – Spanish for Physical Therapy appeared first on Podcasts by Doc Molly. The post Lyme Disease – A Clinical Dialogue in Spanish appeared first on Podcasts by Doc Molly. The post Describing Our Skin in Spanish appeared first on Podcasts by Doc Molly. The post Describing Our Bodies in Spanish appeared first on Podcasts by Doc Molly. The post Chest Pain – Asking About Pain in Spanish appeared first on Podcasts by Doc Molly. The post Fever and a Rash – A Call to the Clinic in Spanish appeared first on Podcasts by Doc Molly. The post Asthma Dialogue in Spanish appeared first on Podcasts by Doc Molly. The post Carpal Tunnel Syndrome in Spanish appeared first on Podcasts by Doc Molly. The post Scene of a Car Accident in Spanish appeared first on Podcasts by Doc Molly. The post Diagnosis of Diabetes in Spanish appeared first on Podcasts by Doc Molly. The post Greeting Patient for Lab Appointment – Medical Receptionist in Spanish appeared first on Podcasts by Doc Molly. The post Stroke in Spanish appeared first on Podcasts by Doc Molly. The post Gynecological Exam in Spanish appeared first on Podcasts by Doc Molly. The post Abdominal Pain in Spanish appeared first on Podcasts by Doc Molly.